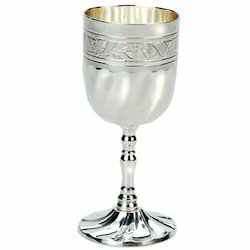 We are engaged in the manufacturing and supplying of a massive range of Wine Cups, which includes Brass Kiddush Cups, Stylish Polished Brass Wine Cups, and Silver Plated Wine Cups. Manufactured using high grade brass procured from credible vendors, we guarantee the durability of the entire range of wine cups offered. We are looking for only foreign queries mainly from US & Europe. 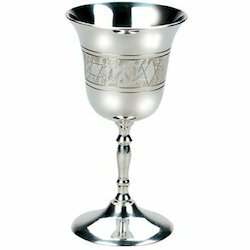 We offer a wide range of wine cups to our clients functionally advanced range of Brass Wine Cups. These are manufactured using high grade material and sophisticated technology n compliance to the international quality standards. We are looking for only foreign queries. 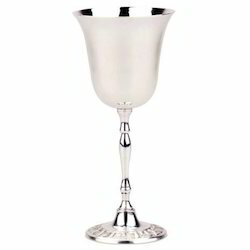 We are the manufacturer of comprehensive collection of Polished Wine Cup. 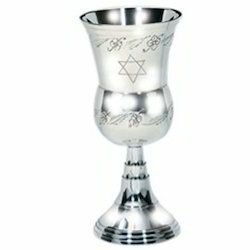 Our range of products are manufactured using quality silver. 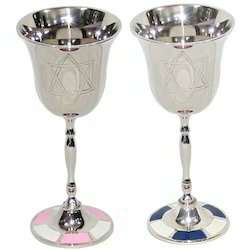 We offer our comprehensive range in varied sizes and designs. These products are really appreciated by clients. 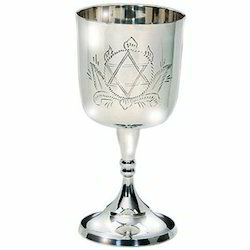 Owing to our vast experience in this domain, we have been able to offer high quality Brass Kiddush Cups to our esteemed customers. Our products are designed by our experts as per the latest market trends. Before the final dispatch, we assure the quality of each and every product by several stages of quality checks. Known for their user friendly features like durability and exclusive design, these products offered at most competitive price. 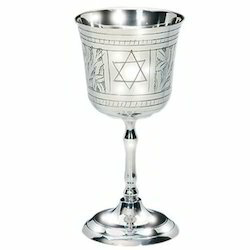 Looking for Wine Cups, Kiddush Cups & Wine Goblet ?